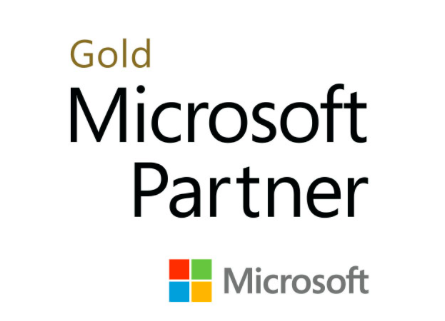 Our new client – a fast growth Czech Republic Microsoft Gold Partner provides workflow automation solutions and has won a contract with a distribution business to implement a global rollout for Microsoft Dynamics D365 Finance and Operations as well as CRM modules including an Australian based site. 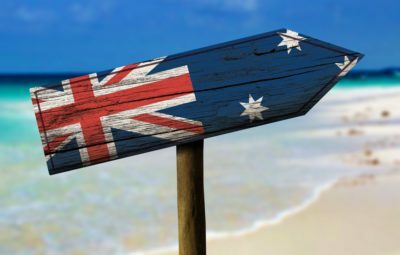 A local Australian delivery partner with strong Microsoft certifications was required with D365 F&O skills and understanding of the local Australian accounting standards and Australian taxation rules for compliance requirements. Secondly an ongoing local support engagement is required for the post implementation period as part of a Global Support contract. The consulting engagement brief for Alchemise was to locate and identify the best fit Australian D365 partner to help fulfil the functional consulting for the rollout scope and partnership fit with right expertise and ongoing support/maintenance capability. From our new market entry experience working with fast growth technology companies coming to Australia from UK, Europe, US and Asia we know there are many country specific nuances to consider in terms of the broader partner considerations when forming a channel alliance and partnership which needs to include the following. Both the end client relationship and your global support model needs to be considered for a compatible cultural fit. This needs to be a seamless experience for the local client and parent client experience with compatible operating values and processes as well as how the project management structure is setup. We understood the learnings from the current EU market that experienced Microsoft Dynamics 365 functional consultants are difficult to find amongst Tier 1 & 2 Consulting firms and a trade off between highly structured engagements versus a partner who are more flexible to suit with partnering with a growth company. The end parent client expressed preference of the physical location being Czech based without offshore but local access and fly in fly out but having a local office in Australia. The local requirement was to arrange an in country partnership with a credible sized Australian based organisation with national presence to assist with the functional Microsoft D365 experience and also ongoing support. This mode is time efficient to be able to offer local business hours coverage for Level 1 support in Australia as part of the global support “round the clock” agreement required to be managed from Prague, Czech Republic in line with Contractual Service Level Agreements. They spoke with Alchemise to assist given our technology services background, local network of Microsoft partners and understanding of the subject context from an integrated technology sales & marketing perspective. There was limited time frame to arrange a local partnership as the global rollout scoping for 2019 was already in place with the Australian site. The Czech team was flying out in two weeks for the client scoping workshop and needed the right options in place prior. We addressed the brief requirements and qualified a shortlist of five suitably qualified potential Tier 1 & Tier 2 partners and helped to conduct shortlist criteria/ interviews within this time to deliver the client outcome required. Given the challenge of the local Australian Microsoft partner criteria, skills, timeline, and experience for Microsoft Dynamics 365 needed as well as the accounting background expertise required to interpret Australian accounting policies, we managed to deliver the results with just 2 weeks lead time. We successfully scoped outcomes with the pressing urgency to find a local Australian project functional D365 consultant following market research for the correct Microsoft Partner which was suitable with Microsoft D365 skills as well as industrial and distribution sector experience. We conducted the local Microsoft partner interviews and assessment to ensure the right fit for both current project need for client location and also ongoing support for D365 and also CRM modules. Once the shortlist was completed, we facilitated the conference call introduction with our client and was able to advise from market research around market contracting rates and local insights about the local Microsoft partner network. Our value with ICT sector and technology domain knowledge of the market and Microsoft partners helped position the confidence and network of suitable providers for this need. A shortlist was compiled following several discussions and interviews with prospective Microsoft partners. The learning was that current knowledge is required for D365 not Dynamics AX or previous versions that some partners might be using as a migration or training ground but the selected Australian partner has real compatible experience to meet this client need and fit. The other shortlisted Microsoft partner interviewed didn’t have the capacity to scale with overflow work and was very dependent on 1 to 2 dedicated resources with required expertise. From a partnering risk perspective this “ability to deliver” needs to be evaluated as part of a local go to market partnership strategy. In the future this may fit with ASEAN based locations. What our client was looking for wasn’t just the lower pricing as a criteria but the ongoing reputation and commitment to the Australian market which the Australian partner has been established for 30+ years and also a proven current track record which minimises the client risk. The value of a flexible arrangement and value of the Australian Microsoft Dynamics Partner with their support and consulting model provided our client with the confidence to look at a back to back agreement in the first instance and a time and materials engagement for the initial functionals D365 scope consulting as part of the client’s team. The client were happy with the outcome and has managed to meet their end clients expectations as well as a suitably qualified partner to build the relationship upon beyond Phase 1: Scoping but also for support and Phase 2: Implementation of D365 F&O and also access to strong D365 CRM skillsets.